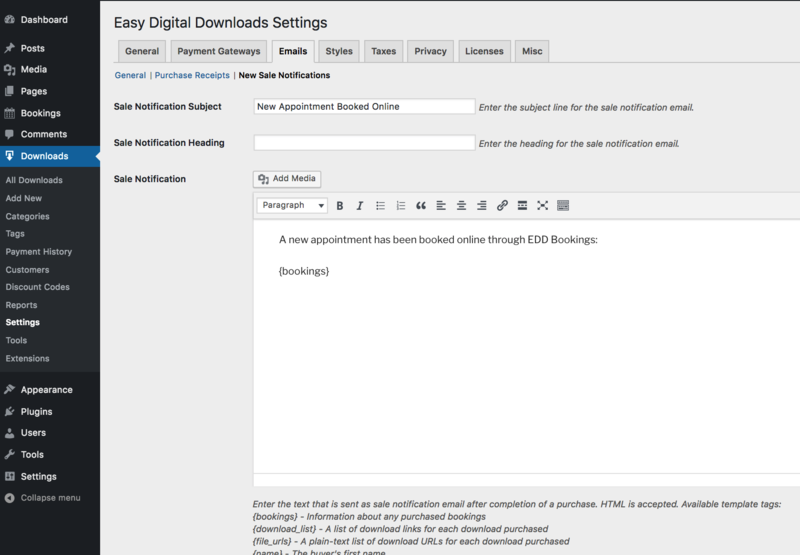 EDD Bookings integrates with the Easy Digital Downloads new sale notifications. We provide a placeholder for booking information. It can be found within the EDD new sale notifications page.